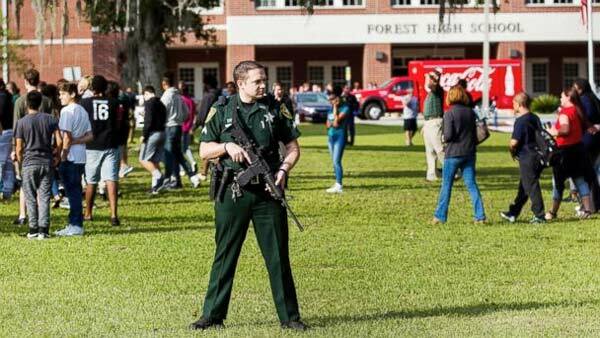 Gunshots broke out at Forest High School in Ocala, some 38 miles south of Gainesville. One person was injured in the shooting, according to the Marion County Sheriff's Office. The shooting took place in the school's main building. The wounded individual is a student at Forest High School who was transported to a local hospital with non-life-threatening injuries, according to Marion County Public Schools. Around 2,200 students attend Forest High School. The students were evacuated and the high school placed on lockdown, along with 17 other schools in the area, according to Marion County Public Schools. School walkouts planned for Friday. Katherine Scott reports during Action News Mornings on April 20, 2018.